Can the Pope be an organ donor? The question was raised this week after Vatican Radio revealed the contents of a letter written by the Pope’s private secretary, Msgr George Gaenswein, stating that Pope Benedict’s 1970s issued organ donor card had become “de facto invalid with Cardinal Ratzinger’s election to the papacy”. 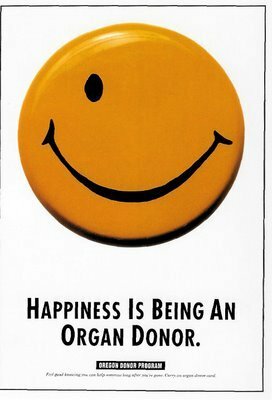 In 1999, the then Cardinal Ratzinger revealed he always carried an organ donor card with him, expressing his approval for organ donation which he called “an act of love”. I always felt the same and I too became an organ donor. This was no sooner said than various experts were offering to explain this particular invalidity. Church teaching argues that a pope’s body belongs to the entire church and therefore he must be buried intact, said some. Others argued if papal organs were donated, then they might become relics, de facto “parked” in other bodies, if the pope were eventually made a saint. Contacted last night to explain this apparently obscure area of church teaching, senior Vatican spokesman Fr Federico Lombardi dismissed the notion of relics and intact burial. “The point is that the Pope offered to become a donor more than 40 years ago . . . having become Pope, his situation has changed – he is no longer any ordinary private citizen . . .
“There are things that you can do as a normal, private person that do not apply when you are a sort of public official or spiritual leader like the Pope”, he said. I am not nearly that old but my organs may resemble those of someone 90 plus!